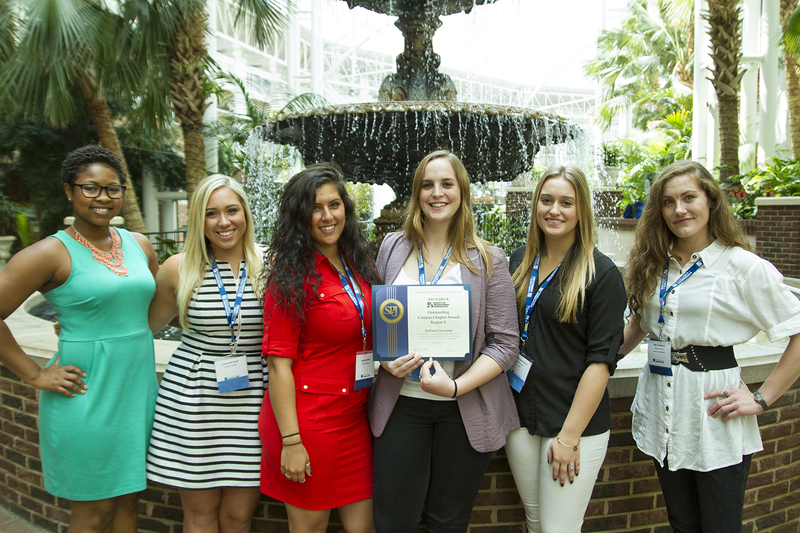 SPJ/ONA DePaul received the Region 5 Outstanding Campus Chapter Award at the 2014 Excellence in Journalism (EIJ) Conference in Nashville, Tennessee. This is their third win in four years. The organization was honored for its inventive programming during the 2013-2014 academic year, including a Women in Sports Journalism panel and web coding workshop with Andy Boyle of the Chicago Tribune. The chapter also presented a social media training for students at Walter Payton College Preparatory High School. The chapter also organized a Free Speech Wall to celebrate Constitution Day, in which DePaul students exercised their First Amendment rights by sharing uncensored advice, opinions and thoughts. Past president Brianna Kelly and Secretary/Treasurer Rima Mandwee presented a workshop on September 5, 2014 at the EIJ conference with organizational tips for other campus and professional chapters. 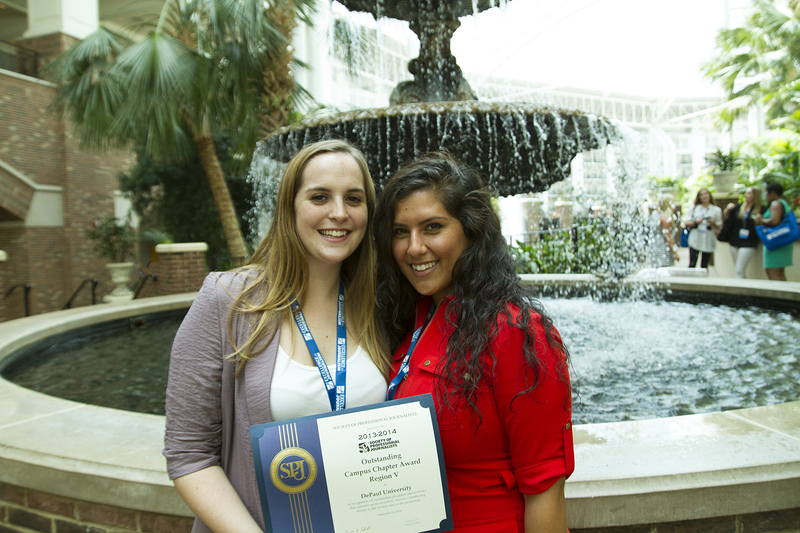 SPJ/ONA DePaul was also a finalist for the National Campus Chapter of the Year Award, which they won in 2011 and 2013.